Enjoy little to NO electric bills! Seller will pre-pay solar at time of closing! Love the life you live in the active adult community of Heritage Eagle Bend. 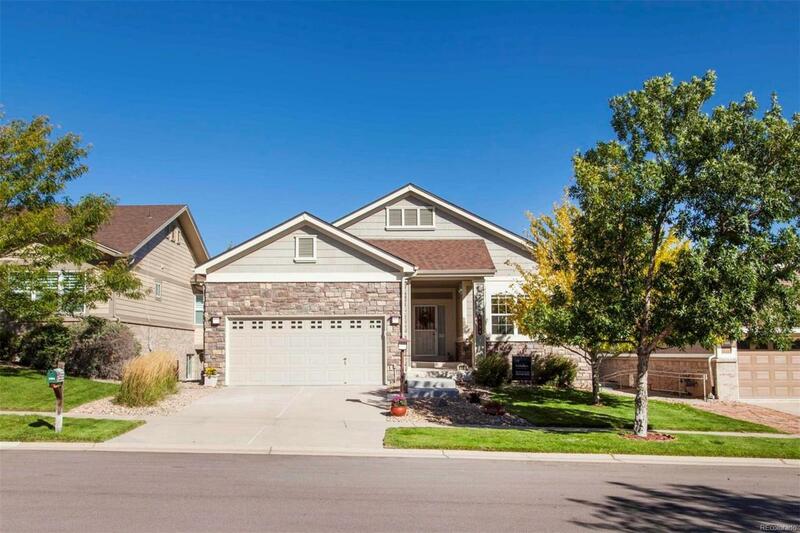 This beautifully updated ranch offers a bright and open floorplan featuring new granite countertops throughout kitchen and main level baths, new carpet on main level, and new tile in master bath. The finished garden level basement includes 2 bedrooms, a full bath, game room/family room with a cozy gas stove, extensive work room and storage area which includes a radon system that has been recently verified. Relax on the extended covered deck which includes mature landscaping and gas grill. The oversized 2 car garage has extra space for a golf cart and storage. One Year home warranty, freezer in laundry room, and air compressor all included!! The expansive clubhouse offers indoor/outdoor pool, stunning golf course, fitness facility, tennis courts, restaurant/bar, pro shop, and endless groups/clubs to join. Home warranty included!